Mallorca remains one of the most favoured islands of the Mediterranean for investors, second home buyers and holiday-makers alike. A lot has been written, many things said and numerous films and documentaries produced particularly in German – showing the so-called ‘negative sides’ of Mallorca, predicting a downturn in popularity or a slowdown of the property market – but nothing could ever really dent the image of such a consistently sought after holiday destination. Today, Mallorca is more international than ever, with a lively resident multinational community and a vibrant year round capital, it is well placed to compete with the emerging markets. We give you the top ten reasons why Mallorca is Number 1 when it comes to choosing a place for your second home. The local government’s initiatives to bring quality tourists to the island are paying off and as a result Mallorca can now offer a very cosmopolitan lifestyle to the expatriate community. Every year more than 2.3 million British tourists enjoy holidaying on Mallorca, which accounts for around 26% of the total tourist traffic. The major share is still the Germans with more than 3.4 million equating to 40% of the total. There are around 340,000 Scandinavians, 238,000 French, 160,000 Swiss, and 136,000 Irish and although small at present the number of Russian visitors to Mallorca is growing steadily. A considerable share of the tourist market is still attracted by the great deals on offer in the big resorts such as Arenal, Magaluf, and the popular family resort of Alcúdia but the most important growth for the property market is coming from visitors seeking an alternative type of vacation in small countryside hotels, country homes or seaside apartments and villas to rent. This has obviously pushed the market for those buying for personal use as well as capital appreciation and the potential to cover expenses by letting the property for high rents during peak season. The last few years have seen most of the buying activity in Mallorca (apart from the locals) coming from British, followed by the Germans and mainland Spanish. Buying a property in Mallorca is easy! Mallorca is a mature market which has big advantages regarding the buying and selling process. There are set procedures, laws and routines in place, with minimum grey areas to worry about. The island is also home to a large selection of professional legal advisors, established real estate agents and mortgage consultants to choose from. There is a whole industry at your disposal for anything related to property, from legal aspects to rental agencies and home maintenance companies. Even though most foreigners living in Mallorca are well aware that learning Spanish makes all the difference, there is no need for property owners who are spending a few weeks of the year on the island to speak the native language. If you speak English or German then you will find service providers who speak your language. A lot of people who have settled in Mallorca over the years set up their own businesses to earn a living and are focused on the foreign clientele for business. With 300 days of sunshine every year in Mallorca do we need to say more? Thanks to Mallorca’s situation the winters are mild and summers not too hot. The coldest month is usually January, but then there are only a couple of weeks to go for the almond blossom, turning the island into a sea of rose and white. September and October are beautiful warm days without being too hot and the sunbathing season often lasts well into November. Apart from the hottest months of July and August outdoor activities such as hiking, golfing, sailing or cycling can be enjoyed year round. An island has its natural building limitations and the Balearic government has enforced strict building policies for the last number of years. As a result, the Mallorcan coastline is protected from over development and there are minimum land size requirements in place in rural areas to avoid urban sprawl. This means that prices for property remain steady in Mallorca and building land becomes increasingly hard to find in the most sought after areas. All of these sanctions have helped to protect the natural beauty of the landscape and maintain property values in Mallorca. Tourist-wise Mallorca has enjoyed popularity since the 50s meaning that the development of the necessary infrastructure began very early. Today Mallorca’s international airport provides daily connections to most European capitals and the Spanish mainland at very competitive prices. Hospitals and clinics in Mallorca are up to international health standards and many provide a translation service for foreigners. A lot of overseas doctors have established practices aimed at the foreign residents. Those with children can choose from a selection of International Schools following the curriculums of France, Germany, the UK or Sweden or there is the possibility of the private or public Spanish schools, many of which have an excellent reputation. Regardless of your budget Mallorca offers a wide range of facilities. The restaurant scene is very international and boasts traditional Mallorcan restaurants, seafood restaurants and international cuisine up to Michelin-star level for that extra special treat. The hotels in Mallorca cater for every taste from family-run hostels to the chic five-star-palaces for the more affluent travellers, from boutique hotels in Palma or the villages to finca hotels in the countryside. The major cities Palma, Inca and Manacor are shopping hotspots with trendy boutiques, international designer brands, exciting local designers and the well-known high street stores offer excellent value for money. If you come to Mallorca you want to enjoy yourself and recharge the batteries and no matter if you are keen on sporting activities or just looking to relax and do nothing, Mallorca has something for you. The numerous spas across the island provide the latest treatments; there are no less than 23 golf courses to tee-off from and a total of 20 marinas dotted around the coast for a round the island trip. The Tramuntana Mountains are a real paradise for walkers and hikers and can be explored with local guides or on your own. Thanks to the cycling boom the Balearic governments is improving the routes for cyclers and some of the most spectacular and peaceful journeys can be enjoyed in the centre of the island. Watersports are a favourite everywhere and while Pollensa in the north and Can Pastilla in the south have some of the finest windsurfing and kitesurfing grounds, the Southwest and the Northeast are famous for snorkelling and diving. Adventurers will find pleasure and excitement in joining hang-gliding, canyoning, caving or squad excursions. Mallorca has long been one of the safest regions in Spain to live and even if home robberies have increased slightly, it is still much safer compare to other regions such as Marbella and the South of France. In the small villages it is still a habit to keep the front door open and it is safe to walk the streets alone in most places. More attention to safety has to be paid, however, in the more touristy zones such as Palma’s old town at night, the airport and the large shopping centres are often targeted by criminal gangs, so be careful. Maintaining the right balance between infrastructures to support development and preserving the natural beauty is always difficult to achieve. With continued good management in terms of building regulations for private sector developments and careful deliberation on public buildings such as roads, hospitals and schools, quality architectural design and construction and providing tax incentives to encouragement owners to reform dilapidate buildings of the 60s and 70s could all ensure Mallorca maintains its top position. The Tramuntana mountains are almost untouched and guarantee a memorable experience of unspoiled, fascinating nature. There are still beaches which can only be reached after a long walk or by boat. The northwest coast of Mallorca and the islands of Cabrera and Dragonera are a paradise for birdwatchers and home to species long gone in other parts of Europe. If you want to get a glimpse of rural life, you should visit one of the beautifully preserved villages in the centre of the island where life still follows old traditions. The most avid supporters of Mallorca are no doubt the ones who have chosen, to make it their home and could probably add many more reasons why Mallorca is number 1. Likewise, some will argue that it is possible to find the same advantages elsewhere and possible at a lower price. And while this could certainly be true for some points we believe it is difficult to match in terms of safety, convenience and lifestyle. 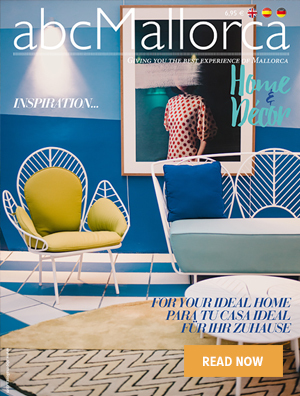 We hope you have found this article about the Why Mallorca is Number 1 useful and that you have many memorable stays in Mallorca as a result of our recommendations.